Hey the best we got today. We don't have a mega million dollar deal in the works. Well not til Monday anyway. Maybe we can install airport landing lights like the Evans family next week. [flash=470,288]http://www.ktvb.com/v/?i=78476492" AllowFullScreen="true" allowScriptAccess="always" height="288" wmode="transparent" width="470"
I almost forgot about this thread. 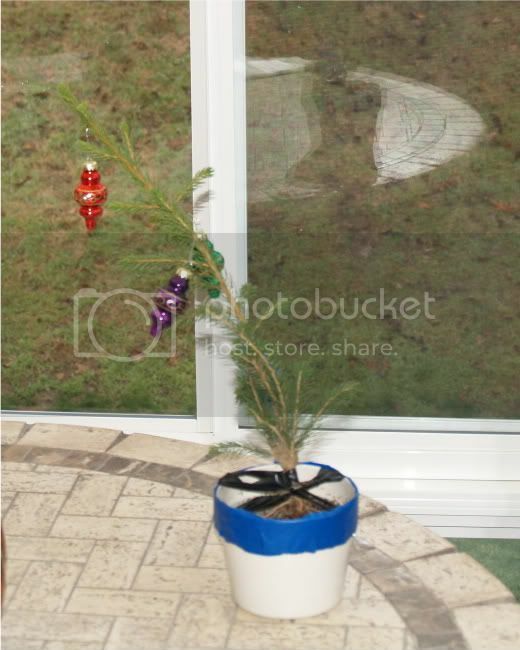 I decided to go with a real tree this year. Hopefully I can replant it for the neighbor this spring! It started snowing soon after I took this picture. Sorry Lucky...I had to say it. :rofl: Tree looks good!! Will make a great yard tree.